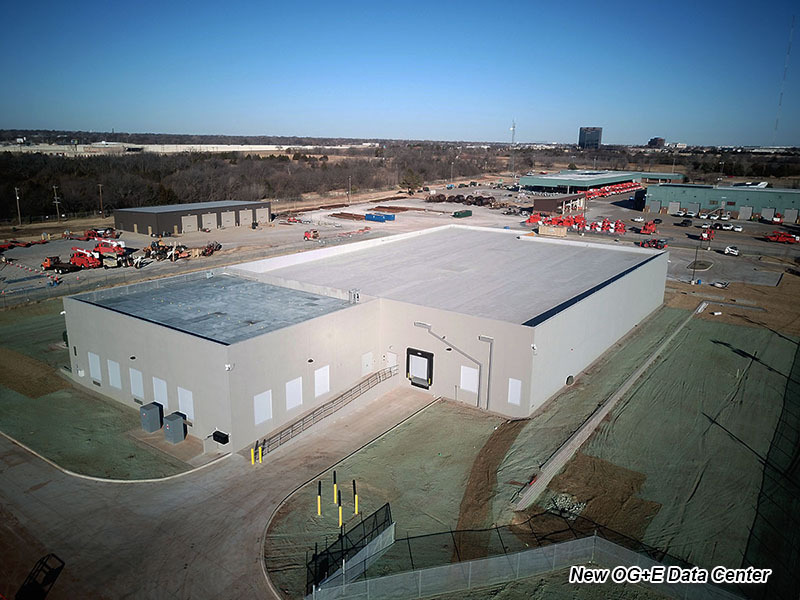 On behalf of the City of Oklahoma City, OCURA paid Oklahoma Gas + Electric (OG+E) $14 million to purchase three buildings and related property that the company had been using for its data center. OG+E has constructed a new facility south of Wilshire Boulevard and east of Broadway Extension and relocated its operations and staff. As per the contract, OG+E must completely vacate the downtown property by April 1. 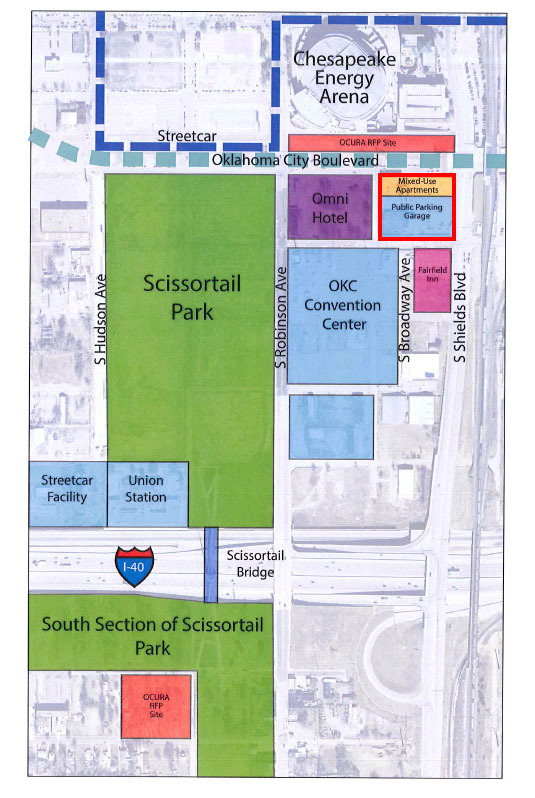 The demolition would make way for a new 6-story parking structure that was required by contract with Omni Hotels. 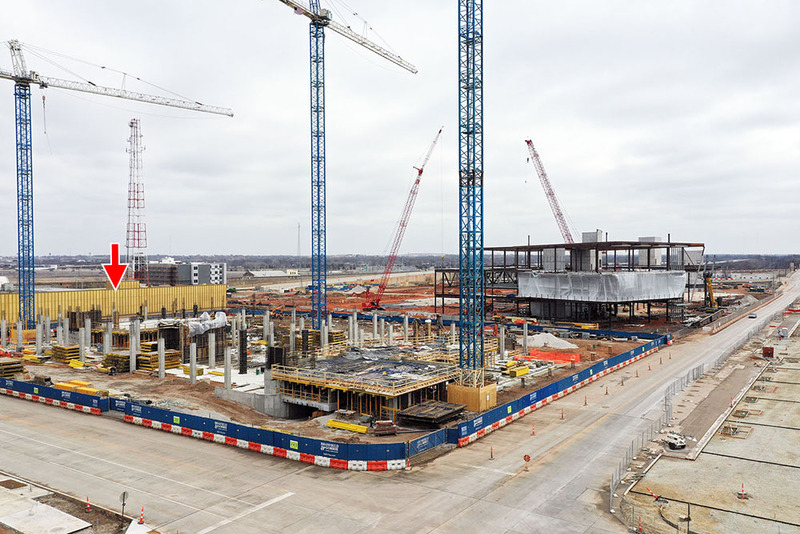 It will also serve the new convention center. 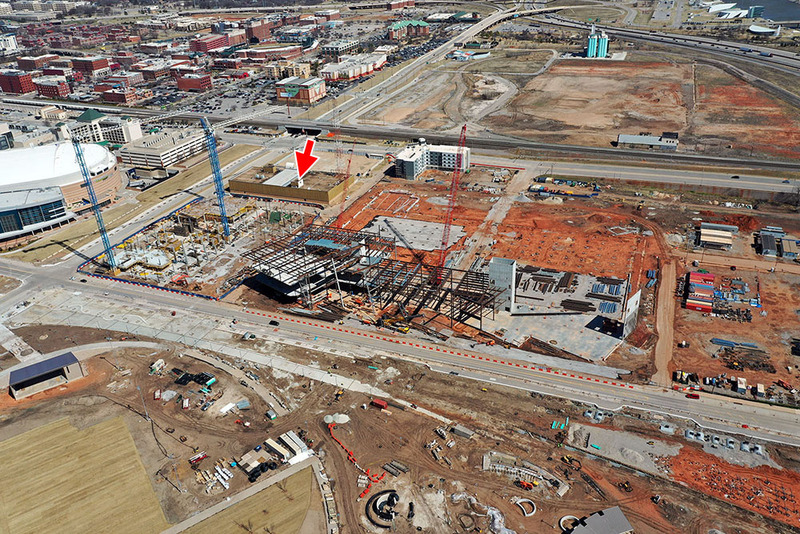 In addition, a new mixed-use project will occupy the portion of the property facing the new OKC Boulevard and Shields. 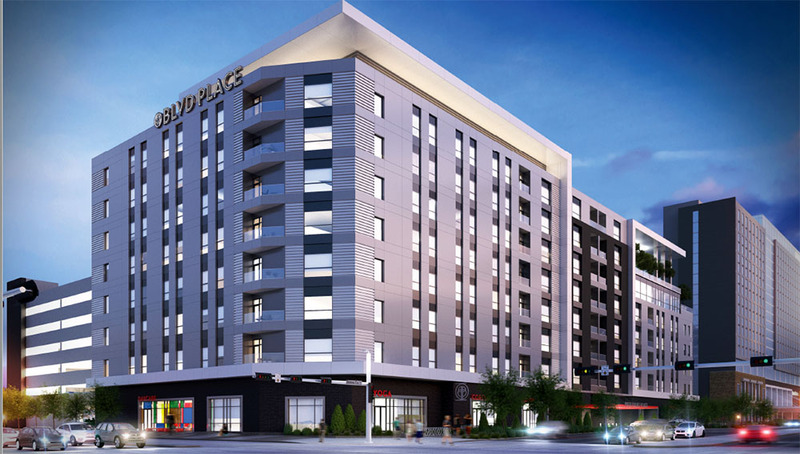 Through a previous application process, OCURA selected the developers of the proposed Boulevard Place, an 8-story development to include 241 residential units and 22,000 square feet of ground floor retail space as well as other amenities. The buildings targeted for razing are actually three separate structures constructed between 1919 and 1922. In 1987, the buildings were significantly remodeled with an addition of gold, perforated metal panels providing the appearance of a single structure. A large transmission tower was added about the same time, which would also be removed under the plan. 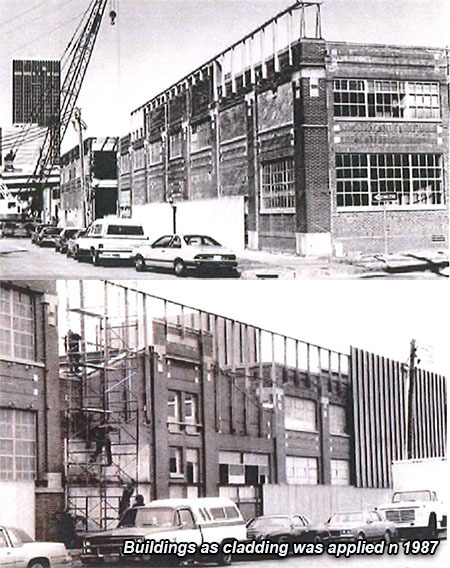 As part of their demolition application, OCURA claims it only recently came across the photos (shown above) and was not aware of the original buildings beneath the gold facade as they moved forward with plans to redevelop the property and thus no consideration was given to saving them or incorporating them into the project designs. 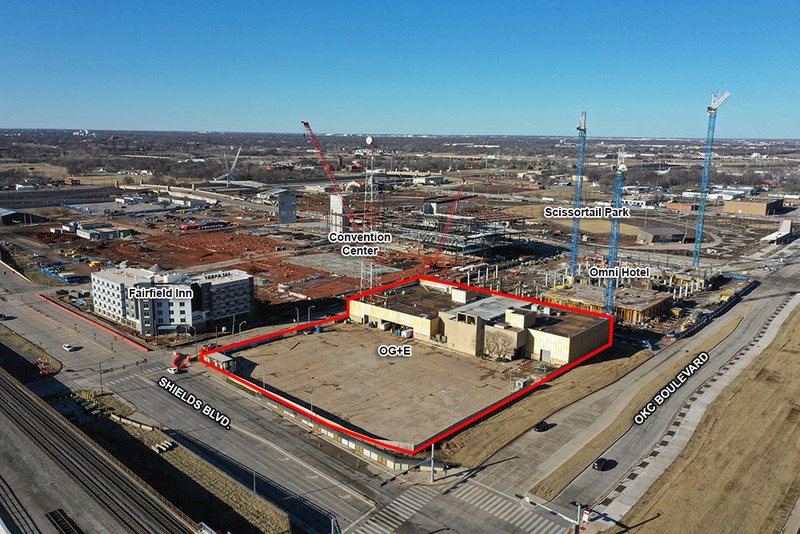 The application goes on to state that the three buildings likely inccurred significant damage during the 1987 renovation, that it is not economically feasible to restore them and that the overall objectives of the garage and mixed-use development could not be as easily achieved. City planning staff recommended approval. The Downtown Design Review Committee will formally vote on the matter at their March 21st meeting.